Before you know it, Labour Day will be gone and done, the kids will be heading back to school, and the leaves will be changing colour. Yep, though it may not quite feel like it yet, summerâ? ?s almost goneFear not though, itâ? 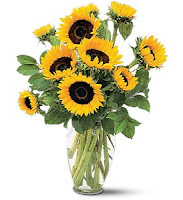 ?s easy to keep that summer feeling alive with some of these amazing bouquets from Bloomex. Whether buying them yourself or sending to a friend or loved one, these bright arrangements will certainly be appreciated. Gorgeous Gerberas ON SALE - $24.95 - Our popular Gorgeous Gerbera Bouquet is bright and colourful, an echo of summer sunshine that will warm up your fall days. Features 6 large beautiful assorted colour gerbera daisies with filler greens. Splendid Spring ON SALE - $19.99 â?? Okay, technically this bouquet is called Splendid Spring, but we think itâ? ?s just dandy for summer.This lovely pastel arrangement feels bright and fresh, featuring a mix of fresh flowers such as pink spray roses and alstroemeria, yellow carnations and lavender cushion chrysanthemums. 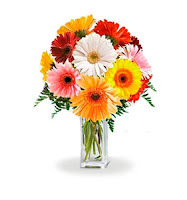 Rainbow GerberaBouquet - $34.95 â?? Nothing says summer like a gorgeous rainbow poking through a sun shower, and this bouquet is certainly reflective of the pure joy that denotes. 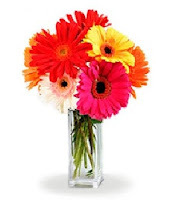 Features an array of ten multi-coloured Gerbera Daisies. Citrus Kissed - $39.95 â?? Like freshly squeezed lemonade on a hot sunny day, this bright and cheerful bouquet is a summer sensation.Dark orange, coral and orange roses, light yellow carnations, yellow button spray chrysanthemums and greens. It's a kiss of summer! Hereâ? ?s to You - $39.99 â?? Made up of brilliant yellow roses, red gerberas and miniature carnations and yellow button spray chrysanthemums,this gorgeous mix of bright colours is perfect for bringing a splash of colour into a gloomy, chilly fall day. Sweetheart Bouquet - $44.95 â?? 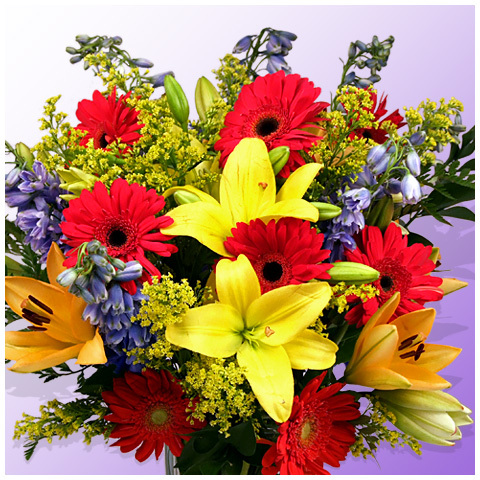 This elegant, vibrant display features the brightness of lilies and red roses thatâ? ?s sure to add a bold dash of colour to any room. Sunshine Sunflowers - $49.95 â?? â? ?Sunshine came softly, through my window today...â? It may be 40+ years since Donovan sang those words, but this bouquet will take you right back to those halcyon days. Celestial LiliesBouquet - $69.95 â? ?Granted, the colours have a slightly autumn hue to them, but the tones are still so bright that they could just as easily suggest the colours of the hot sun rather than the changing leaves. Features an amazing 20 blooms of assorted Asiatic lilies complemented with 2 stems of white daisies. 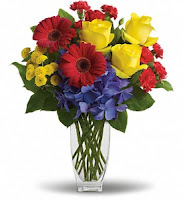 Sprarkles and Smiles - $84.95 -An amazing array of 7 red gerberas, 2 yellow lilies, 2 orange lilies, 6 purple delphiniums, 4 yellow solidago presented with filler flowers and fresh greens. So many bright colours, perfect to bring a ray of light into any darkened room. 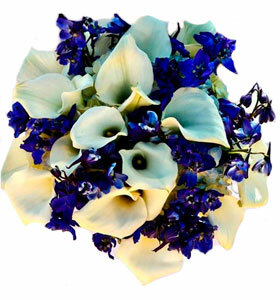 Blue and White Joy - $84.95 - Bold and breathtaking, this arrangement features 12 amazing White Calla Lily blooms, complimented by 3 Delphinium stems. Yep, though it may not quite feel like it yet, summerâ? ?s almost gone. Fear not though, itâ? ?s easy to keep that summer feeling alive with some of these amazing bouquets from Bloomex. Whether buying them yourself or sending to a friend or loved one, these bright arrangements will certainly be appreciated.